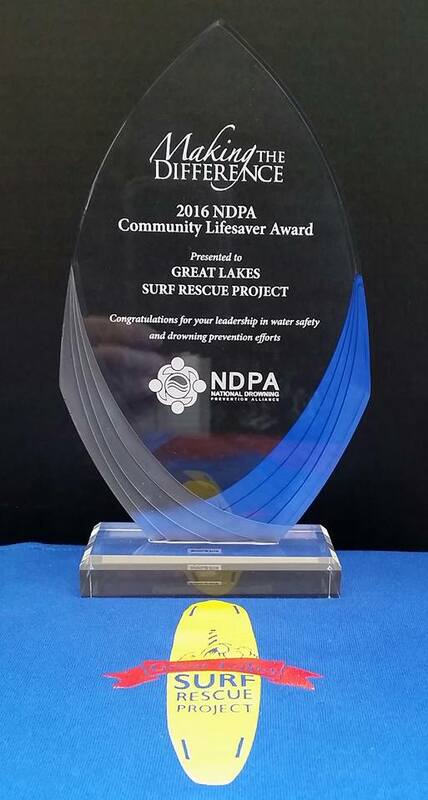 The Great Lakes Surf Rescue Project, Inc. (GLSRP) is a nonprofit 501c3 corporation that is about saving lives through water safety advocacy and drowning survival strategies. 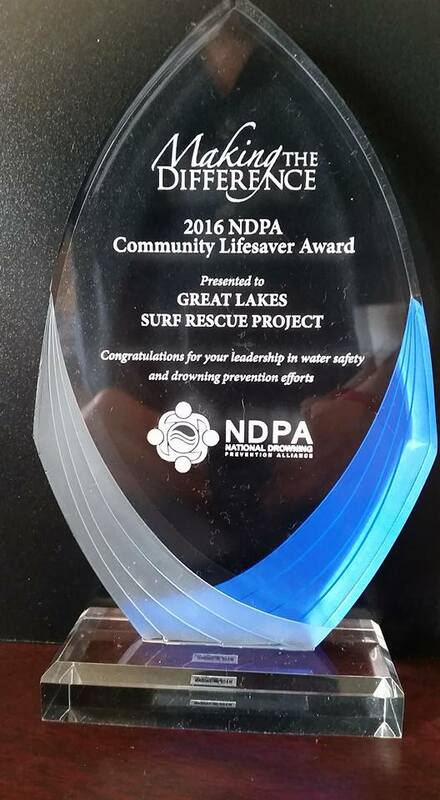 Since 2011, the GLSRP has performed over 705 Great Lakes Water Safety presentations in 7 of the 8 Great Lakes states. 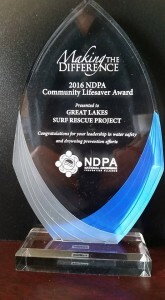 April 4, 2018 – The GLSRP will present, “I didn’t know…” Public Service Announcement and Great Lakes Drowning Documentary at the NDPA Conference in Fort Lauderdale, FL. April 4, 2018 – The GLSRP will present, “The Fallacy of Swim At Your Own Risk” and “Flip, Float, and Follow” drowning strategy at the NDPA Conference in Fort Lauderdale, FL. April 21, 2017 – GLSRP Executive Director, Bob Pratt, presented, “Trends in Lifeguarding – Innovative Ways to Save Lives” at the Great Lakes Water Safety Consortium’s Annual Conference in Sheboygan, WI. 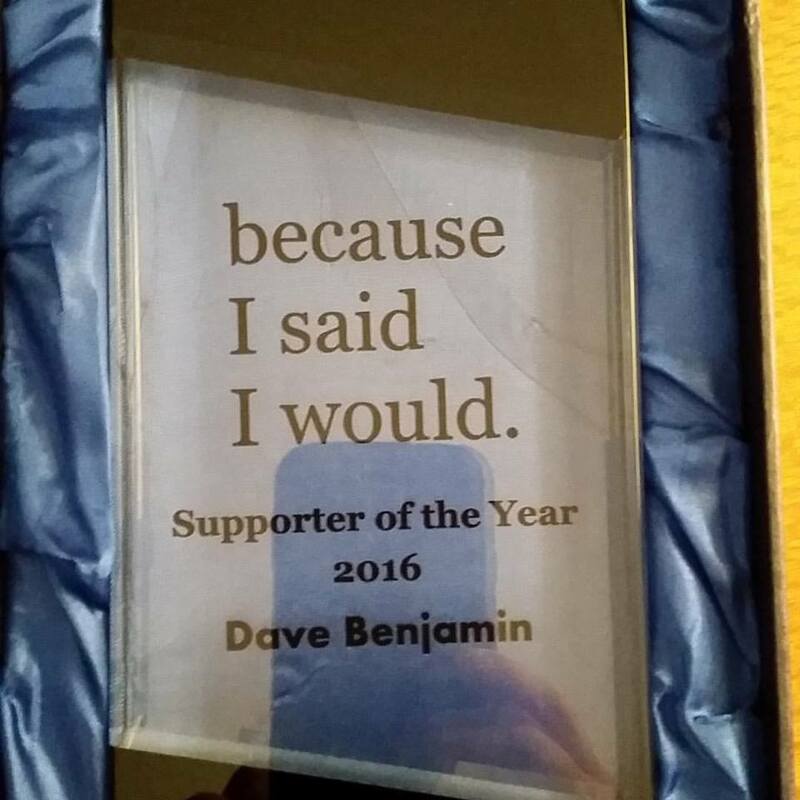 April 12, 2017 – GLSRP Executive Director, Dave Benjamin, presented, “Compassionately Addressing the Stigma of Drowning” at the National Drowning Prevention Alliance’s (NDPA) Annual Conference. 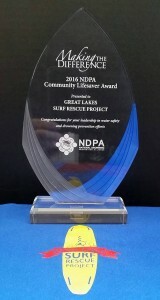 The Great Lakes Surf Rescue Project, Inc. (GLSRP) is about saving lives. It is a nonprofit 501 C3 corporation that is a Chapter of the National Drowning Prevention Alliance (NDPA). 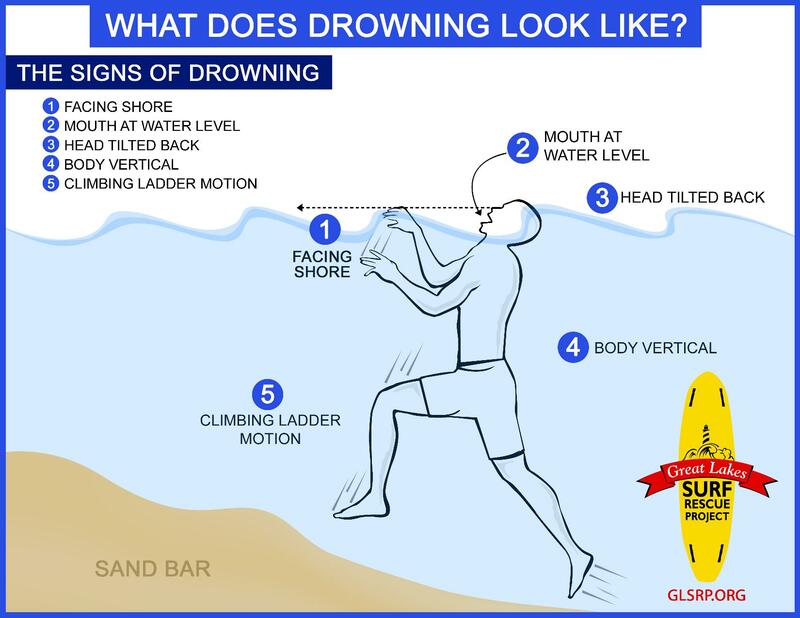 If you must know only one thing about water safety, know what drowning looks like. 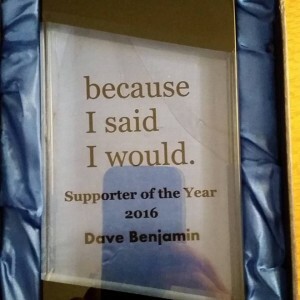 Know it to spot someone in trouble or for you to recognize that you, yourself, are drowning. 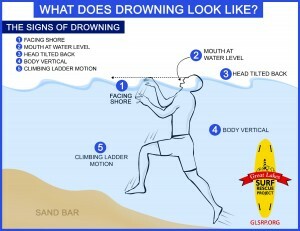 Once you understand what drowning looks like, know how to survive when you get in water over your head. 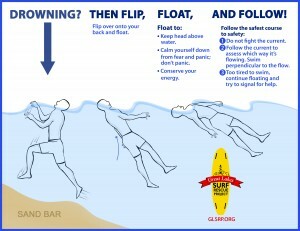 Know how to float. 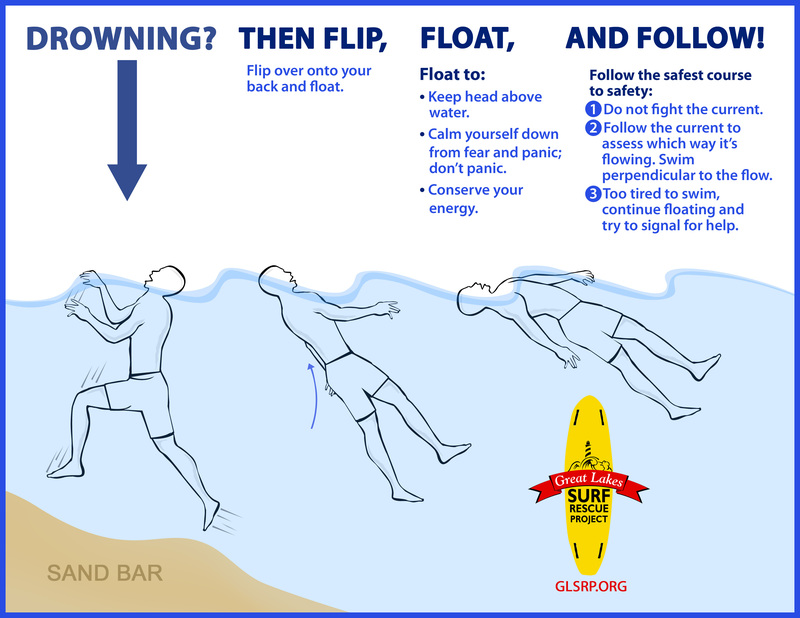 Know that anything that floats may save a life. 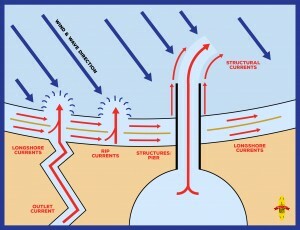 Know the Great Lakes “Dangerous Currents” and know that they work in concert. 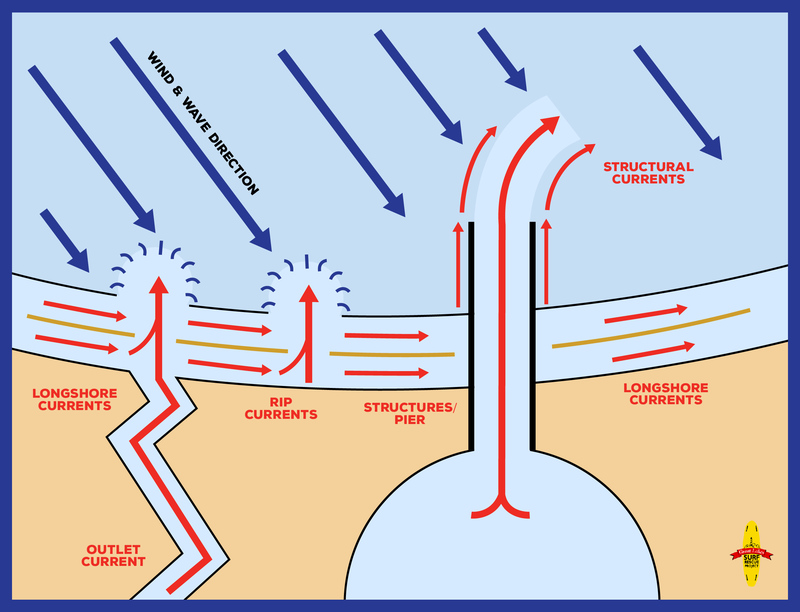 Dangerous currents include Longshore Currents, Outlet Currents, Rip Currents, Structural Currents, and not pictured, Offshore Winds & Upwelling.